Download "Call. 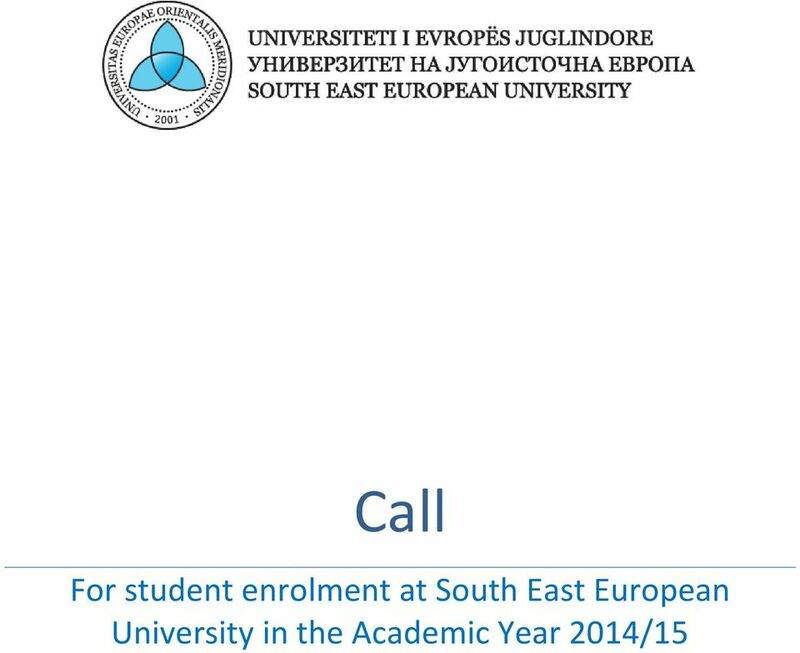 For student enrolment at South East European University in the Academic Year 2014/15"
2. 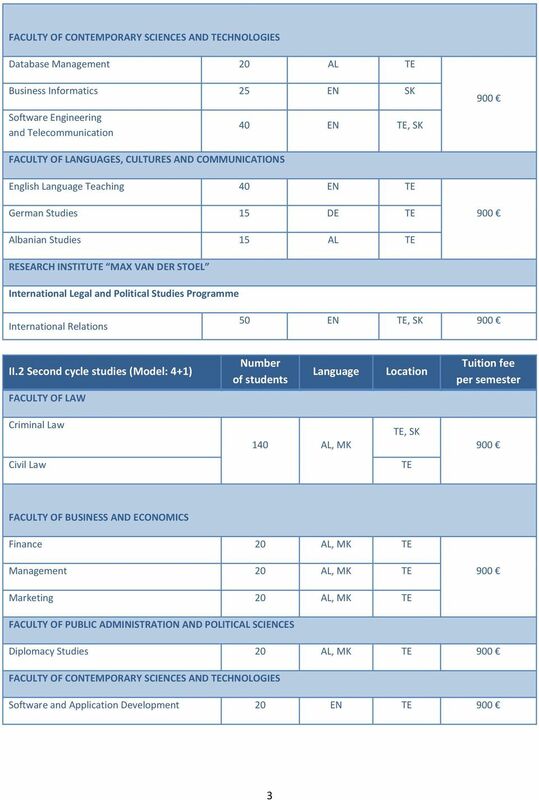 Admissions to postgraduate studies are defined by the Principles of Admissions to Postgraduate Studies. 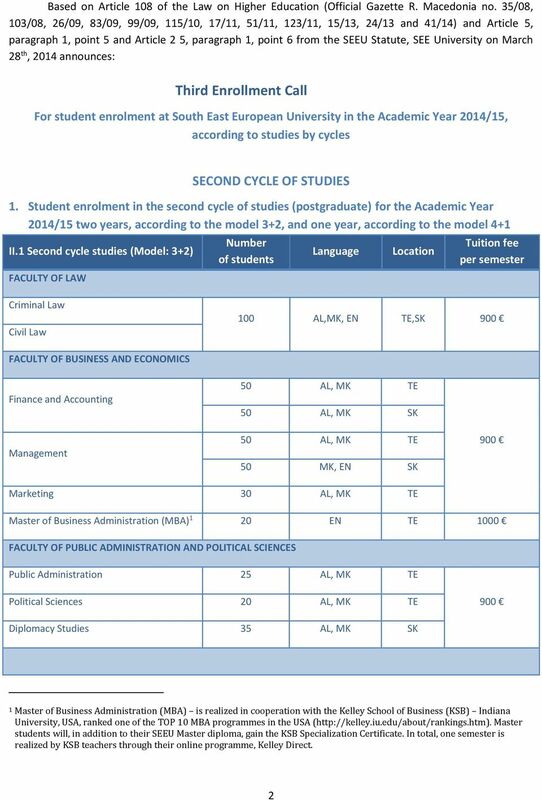 Graduate Studies Policies Manual. 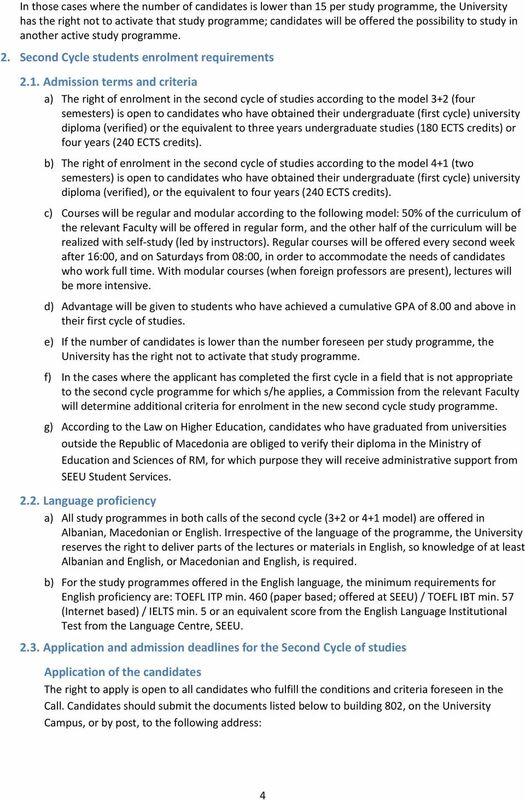 Overview Outlines the framework that governs students pathway to graduation from a Master s degree program. Should more than one GMAT/GRE score result be held, the best score within the last five years will be recognised. SCHEME. Health, Food Safety and Related Policies for the Mediterranean Area (HEFSA). 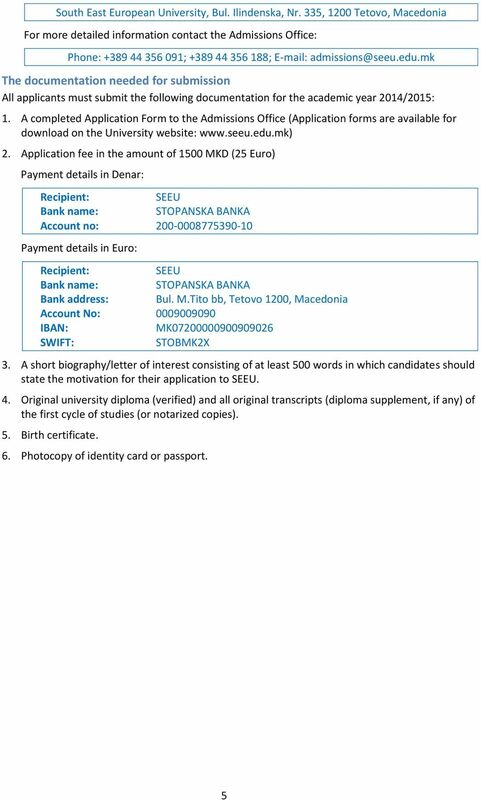 Los interesados podrán encontrar la convocatoria de OEA con el detalle de requisitos y beneficios y el link para postular online seleccionando aquí. Colorado School of Public Health Online Application Instruction Guide Thank you for your interest in the Colorado School of Public Health. 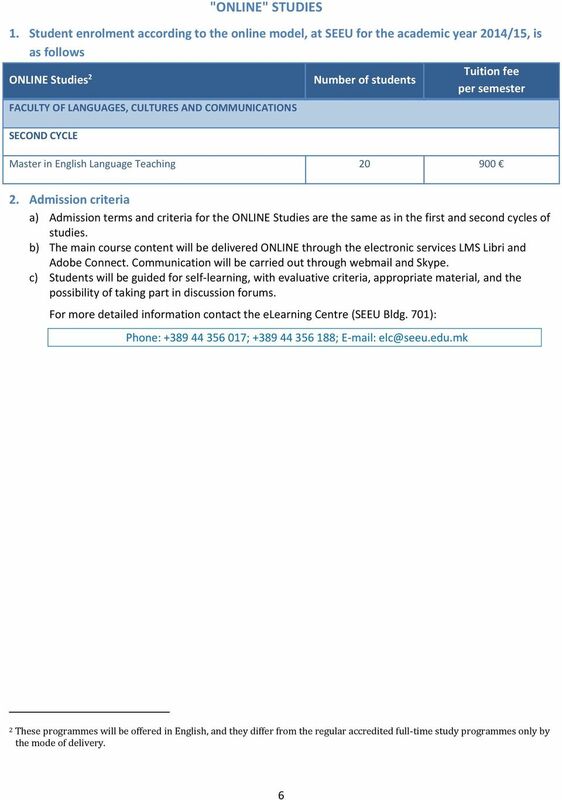 Please follow these instructions as you fill out your online application. Discover Viterbi: Health Systems Management Engineering Professor David Belson USC Viterbi School of Engineering March 26, 2013 WebEx Quick Facts Will I be able to get a copy of the slides after the presentation?